Arranging coal and embers has never been so easy. 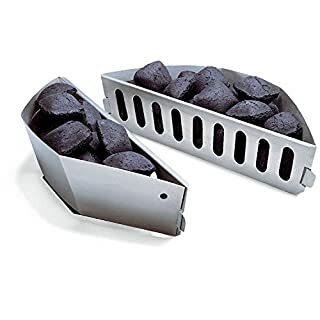 The charcoal baskets from Weber brings order to the clutter under the cooking grate. With the char baskets from Weber, you'll get for optimal heat and perfect BBQ results every time. Simply fill the charcoal baskets easy with your briquettes and slide the basket easily into the desired position. This not only lets you optimise the heat, but also adapt the allocation of burning embers for what you are barbecuing and the respective cooking methods. 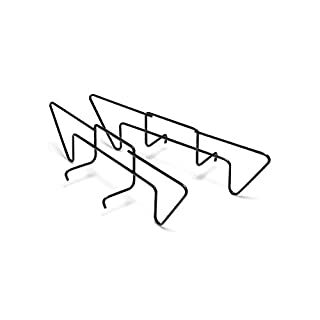 This accessory for the barbecue from Weber is made from galvanised steel so it is almost indestructible. The charcoal baskets from Weber ensure optimum distribution of the embers and allow you to barbecue even on compact charcoal BBQs. With the char basket from Weber, you can optimise your technology and enhance your barbecue results. 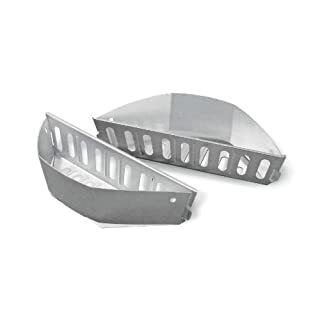 These handy dividers hold charcoal briquettes on either side of the grate when barbecuing using the Weber roast (in-direct) method.